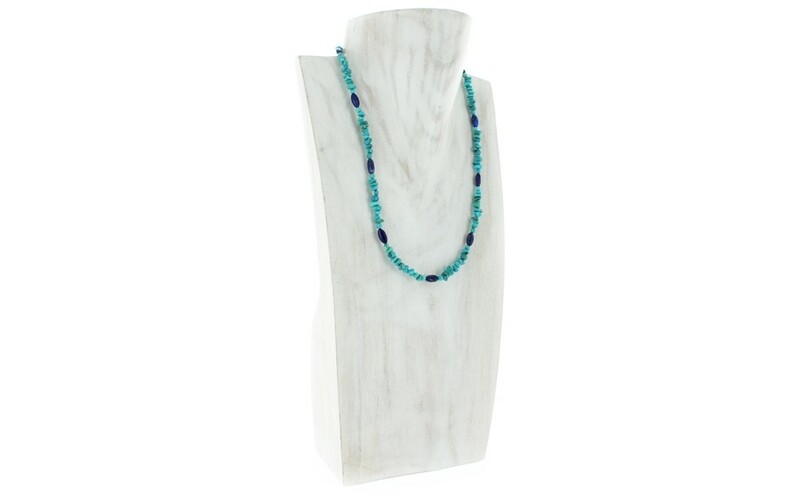 Chips and rounds of Azure Peaks turquoise are strung in a single strand and accented with smooth oval beads of royal blue lapis for a timeless combination. Definitely a great layering piece. 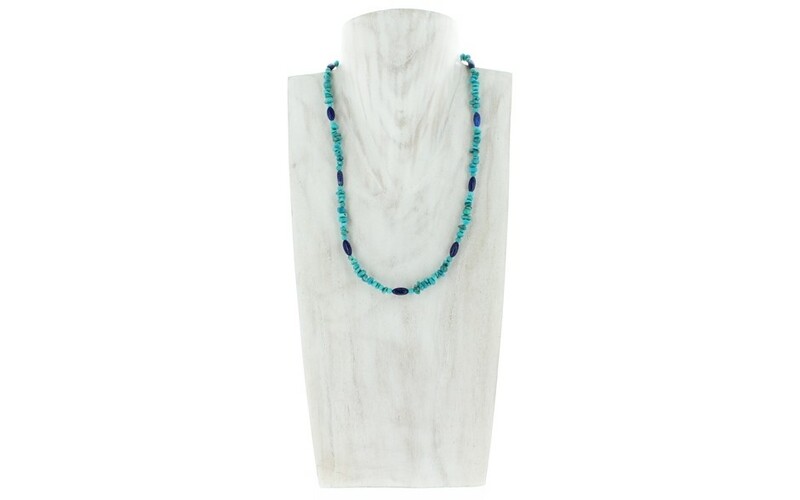 The beads are dainty, making this a comfortable and lightweight necklace to wear. 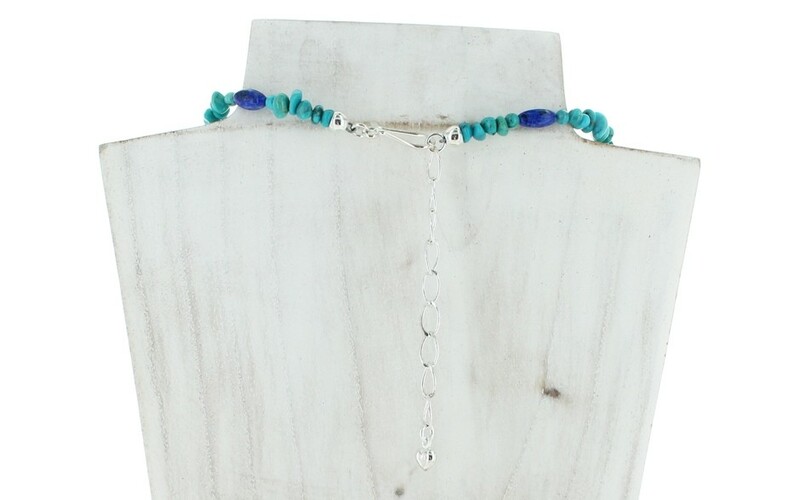 When combined with the pendant, item number 17-5586p, this is the perfect set for those of you who prefer their necklaces and pendants to be on the smaller side. The chips measure between 4x2 to 7x4mm and the lapis measures 5 x 10mm. The lapis is natural, untreated and was mined in Afghanistan. 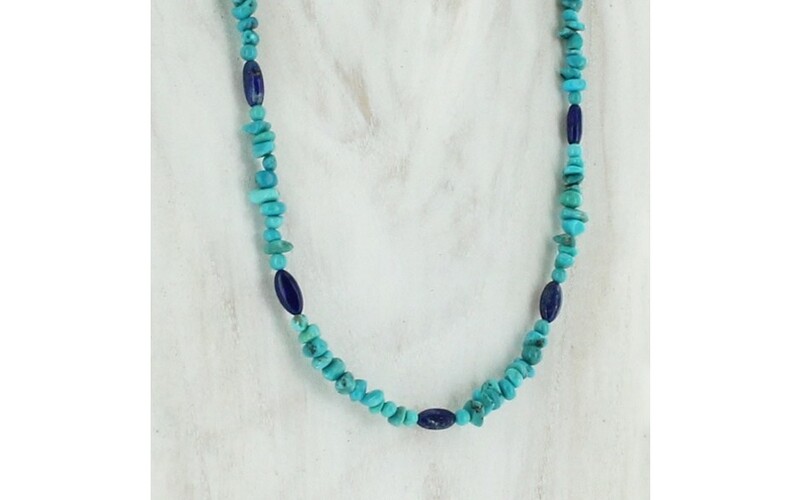 The stabilized turquoise was mined in Mongolia.